The engine coolant sensor is a high failure item which is replaced regularly at any repair garage. This sensor is responsible for causing a computer malfunction which can cause the check engine light to come on. The temperature sensor is responsible for sending feedback information to the computer at specific resistances which will vary the engines power output causing the fuel mileage to be off of normal values. This is because a cold engine will use more fuel to run correctly and if the computer thinks the engine is cold for extended periods of time more it will be given excessive amounts of fuel even when it is not needed. A cars computer is capable of reading the values of any sensor at any given time. 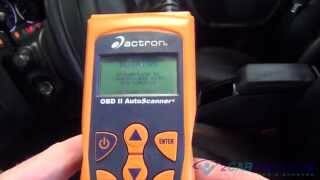 This is also true of the coolant sensor which monitors engine coolant temperature levels. 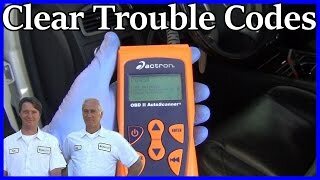 There is a specific resistance range the sensor must stay in to satisfy the computers operating program and when these values are out of range the computer will turn the check engine on and producing a trouble code telling you the coolant sensor must be replaced. Cooling fans are used behind the radiator to to pull air through cooling fins which will remove heat from the engines coolant. On front wheel drive cars and some rear wheel drive cars these fans are electrically controlled which are turned on by the fan control relay. This relay is triggered by the computer which will use the reading from the coolant temperature sensor. When the sensor fails to produce the correct reading of the engine's temperature the computer will fail to send a signal to the control relay which will make the engine overheat when the car is at low speeds or stopped in traffic. Correct fuel mixture is needed for optimum engine power output. There are many factors controlling the computer program which can affect the fuel input and ignition timing. A major deciding factor is engine temperature which is read by a coolant sensor. If the sensor is reading to little temperature the engine fuel mixture will be too rich causing stumbles and hesitation and when the reading is too high (hot) the fuel mixture is leaned down not giving the engine enough fuel which will cause engine backfires or repetitive chugging. If you have any coolant temperature sensor questions please visit our forum. If you need car repair advice, please ask our community of mechanics is happy to help you and it is always 100% free. We hope you enjoyed this guide and video. We are creating a full set of car repair guides. Please subscribe to our 2CarPros YouTube channel and check back often for new videos which are uploaded almost everyday.